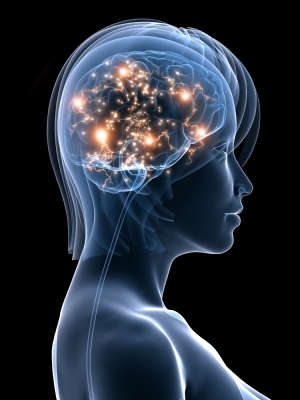 Home FemFaith Blog Why Have Religions Feared Women’s Brain Power? Why Have Religions Feared Women’s Brain Power? I am beginning this post on my 77th birthday. Originally, I had planned to write something about this occasion—about what I’ve learned and worked for and written about over the years. About the changes I’ve witnessed in opportunities that have opened for girls and women. About the achievements of so many. About the challenges still ahead. But that plan changed when, upon awaking this morning, I listened to the BBC news on my local NPR station and was stunned to hear the newscaster report that 14-year-old Malala Yousafzai, an activist for girls’ education in Pakistan’s Swat Valley, had been shot. The Taliban had claimed responsibility. She was alive but critically wounded. Without any other information, I knew immediately who the girl was even though I didn’t remember her name. I felt as though I knew her personally and in my mind could still see her sweet face from the time I had written about her in 2009 . She was 11 years old then. I had been so impressed with her love of learning, her courage in spite of the murderous Taliban bullies, her determination to get an education and make a difference in the world. Watching her on that video had made me think of my granddaughter Morgan who was exactly the same age. At that time, I was writing the 72-27 cross-generational blog with Kimberly George in the form of letters to each other. I wrote about being deeply moved by watching Part 1 of the New York Times video, Class Dismissed: The Death of Female Education, which features interviews with young Malala and her father, an educator and operator of a girls’ school. The film captured the fearful and angry feelings of the people as the murderous Taliban demanded that all schools for girls be closed down.These extremists had already bombed hundreds of such schools by the time of the filming. Watching Class Dismissed was like being there in person and sharing in the mood of this family on the night before the final day the school could be open. It provides useful background for understanding Malala’s passion for education and now the tragic attempt to assassinate her three years later— even though by then the worst dangers of the 2009 period were supposedly past in Pakistan’s beautiful Swat Valley. Filmmaker Adam Ellick, who had produced the documentary, kept up his friendship with Malala and her father over the years. He has now written a warm article about what Malala was like as she was growing into a young teenager and becoming known as an activist working for peace, as well as rights for girls, and was nominated for the International Children’s Peace Award. Another documentary that I had also referenced in that April 20, 2009 post for 72-27 was a PBS Frontline film titled Pakistan: Children of the Taliban. In that documentary, a courageous female journalist returned to her home area of Pakistan and saw how the Pakistani Taliban had set up religious extremist schools for boys, indoctrinating boys especially from poor families with a message of militancy and martyrdom. 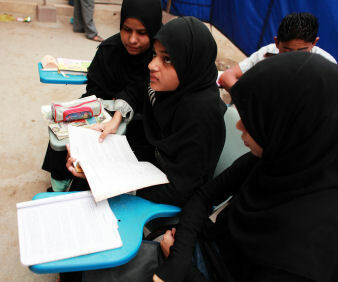 In these schools, the boys were also taught about “women’s place” in strict Sharia law. As one teenage student explained, “Women are meant for domestic care, and that’s what they should do. The government should forbid women from wandering about outside. Just like the government banned plastic bags. No one uses them anymore. We should do the same with women.” He said that only the Taliban knew how to “keep women in their proper place.” Forbidding education for girls was one way they could do that. Why have men considered women’s brains a threat? Women who think, women who question, women who are educated are a threat to those men who think power is theirs by right—simply by having been born male. And so in many times and places, now and in the past, education for girls has been discouraged, opposed, made difficult, or actually forbidden—in spite of the impoverishment experienced by nations that hold such attitudes. The recent PBS special broadcast of Half the Sky drove home that point powerfully. And so the gunmen in Pakistan took aim at a teenage girl’s head and callously said that they would do it again if she survived this attack because, in their twisted thinking, a brilliant brain and powerful voice must be stopped. They considered young Malala’s espousing of rights for girls and women as being at odds with their extremist expression of their religious tradition. And while we condemn such an extremist use of religion to stop women from exercising their minds in one tradition, I wonder how aware people are of how parallel extremist positions are being emphasized in our Christian tradition. No, not that guns are being pointed at the heads or hearts of women who dare to question certain Christian teachings, but symbolic weapons are hurled at women, weapons based on select Bible verses without regard to the context of time, place, and culture. At a time in the world’s history when women are heads of countries, CEOs of companies, leaders in government, and excelling in fields like higher education, journalism, science, music, and so much more, women are still not permitted leadership in many churches. All that female brain power is lost to such churches, and it is no surprise that many educated women are leaving churches— and often leaving Christianity altogether —because of such rigid traditional teachings. I read one article recently that admitted that many women have talents, skills, educational achievements, and abilities of all kinds that far exceed those of many men who are the teachers and preachers in their churches; but even so, claimed the article’s author, such capable women must keep silent and not usurp the authority of men because male dominance and female subordination is the pattern God has established for all times. I have run across articles declaring that men should not even be singing hymns if they were written by women because writing a hymn is a “form of teaching” and thus “usurping authority over men.” The fact that such questions are coming up provides ample evidence that some churches are teaching such things. And many women—bright, gifted women—waste energy worrying that they are violating God’s will simply because they want to use their minds and voices! I stand amazed and deeply saddened to find such extremism so close to home. I know Kendra and Melanie share such concerns, too, and have written much about it. I’m eager to hear their further thoughts. In late August, on the Ain’t I a Woman? blog I share with Kendra, I satirized a question I’d seen posed on a conservative Christian website. Someone wanted to know whether men should be reading blogs written by women, because they might—intentionally or not—learn something from the blog they’d read, and that would be in direct violation of the supposed biblical mandate forbidding women from teaching men. Such a question seemed implausibly silly to me, as did the answers provided by the site’s writer—and her husband, of course. It depends, the site author said. While the Bible is clear that women are not to teach men, we need to be careful about where this line is drawn. Should women not speak in a mixed-gender Sunday school class? Should they designate their blogs as “women only,” thereby making it clear that men who read are treading on unsafe ground? Fundamentally, the writer said, we need to consider our intent, and beware those bloggers who intend to teach men. If men learn something from a site not intending to teach them, there’s nothing women bloggers can do about that. Oh, and—she added—women bloggers need to speak with their husbands, make sure they are okay with what’s been written, perhaps even have the husbands vet their work before it’s placed on the web. At the time I was satirizing the blog, I enjoyed the Facebook repartee with other female bloggers I know, doing their thing without any hand-wringing about teaching men. It was fun being a bit snarky about someone so closed-minded, to criticize folks who have taken biblical misinterpretation and legalism to an extreme. Since writing that post, though, I’ve felt quite a bit of sadness: for the woman who can’t express themselves freely without fear about what her husband will think. For the woman worried she can’t think for herself. For an entire conservative Christian culture who limits women from using their minds at all, lest they will somehow inadvertently act outside what they are told is God’s will for their lives. And I felt sad, too, because I see the effects of this type of thinking every day in my work at an evangelical college, the young women I teach bearing the wounds of the overt and covert messages they receive. In their homes and churches, in the Christian popular culture they consume, in their relationships with peers, these young women hear they are designed for certain “special” roles: as housewives and mothers, sacrificing themselves for their families; as sexual vessels, necessarily pure until filled by their future husbands; as princesses, waiting for their Kings. 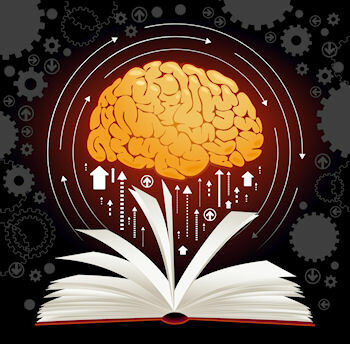 Having heard these messages forever, my students—both male and female—do not believe that women have also been gifted with brilliant minds, leadership skills, intellectual ability. They don’t believe as much about each other. Many of my female students don’t believe as much about themselves. One of the true pleasures of my job is seeing young people, particularly women but men as well, make a paradigm shift, as they begin to see that their minds are powerful tools. I love watching students open up before me, becoming more confident in their thinking (and, because I teach English, their writing), and claiming the many gifts God has given them. I love witnessing students questioning and rejecting the messages about gender they’ve been given. In those moments, I know my work, and the beauty of the liberal arts, has succeeded. Some students, of course, respond to this awakening with fear. They revert to the messages they’ve long received, asserting the Bible lessons they learned about God’s design are unassailable, and that essentially they are to serve God and others with their bodies, not their minds. I mourn their fear, and redouble my efforts, believing conveying the gospel message—one grounded in grace, love, and freedom—is all I can do to combat the fear that a thinking woman, a powerful woman, is somehow anathema to God’s will. Several days ago my husband and I were taking a walk. It was almost dark and the trail we were walking led us under a bridge. As I looked to see if there were turtles perched on the spot where they often gather, my eyes were drawn instead to a large lump much closer to the path. As we approached and I finally was able to see that the lump was actually a large snake, half-curled and much closer to my heels than I appreciated, my body responded first. An automatic hop and burst of energy put me not only on the other side of the trail but also about 20 yards ahead of my husband. And only then was I able to communicate to him what I’d just seen. “Snnnake!” I finally blurted to my husband’s inquisitive gaze. Even though I continue to walk on the same path that leads to the same underpass, each time looking carefully to see if the snake has returned, I do so with an extra measure of trepidation. Fear is a powerful feeling propelling us to jump reflexively across a path or to lash out (even kill or terrorize or injure) at those we do not understand. As Letha conveyed in her post, I think it is easy for us to condemn the Taliban or other violent groups for the ways in which they respond to fear while ignoring the ways fear has worked in our own religious tradition. We quickly identify the ways other groups seek to assert themselves as over against a threat (in the case of the Taliban, fear of women’s empowerment), even a threat of a single person (whether a Martin Luther or a Martin Luther King, Jr. —or a young girl who simply wants to have an education). We like to think of ourselves on the side of the oppressed, those who are seeking liberty in contrast to those who represent a clear example of injustice. But Letha and Melanie have asked us to consider also the ways in which Christian feminism has been denigrated as a threat— how, due to fear (fear of women’s empowerment, fear of change, fear of questioning certain scriptural interpretations), the patriarchal church has sought to silence those who stand up for greater liberty, for more holistic visions of faith, for justice that applies to everyone and not just a select few. The ways of this kind of oppression are myriad, of course, ranging from how the majority wields its power against any who question it, to the timidity, demoralization, or diminished will of minority groups who fail to create a sustained alternative vision. In all cases, it isn’t just a lack of understanding or a limited vision that results in movement toward justice being stalled. We must recognize the paralyzing effects of fear; especially fear that is latent within each of us, just waiting to rear its head if we strike off on a path different from the majority. As feminists and as Christians, we live in a border sustained—rightly, perhaps—by fear. Christians are afraid of feminists and feminists are equally wary of Christians. That’s why the term Christian feminists is viewed by some as an oxymoron. Christians who are invested in maintaining a patriarchal society are threatened by those who see in the gospel message a radical unweaving of power systems threaded in such unequal and unjust ways. It is far easier to maintain a view of Jesus who loves children and sparrows and each one of us. On the other hand, it is more challenging to also see Jesus who takes on power systems, religious and political. It is harder to follow Jesus on a path of alternative wisdom, to see within him the resistance to violence and know this is the kind of life he asks us to embrace: to trust in the presence of God rather than the might of empire. Feminist Christians whose identity points to this radical Jesus also shine a light on the majority who would rather distance themselves from this vision of Jesus, opting for the safer—more personal and less political—Jesus of the Christian empire. Feminists, for their part, are also fearful of Christians, thinking all Christian expressions to be nothing more than God-ordained visions of patriarchy. And, to be sure, there is plenty of that. But there is also at the heart of the good news an alternative message, one that truly seeks to be faithful to Jesus’ life and teachings. It is here within the person of Jesus, the embodiment of the Sophia—wisdom—of God that Christian feminists can put down strong, firm roots. But just like the young woman who is being terrorized and suffering great violence because of her commitment to education, we must likewise be committed to knowledge, to informed perspectives of rigorous faith. We must embrace this challenge even when we are not sure where it will take us or how we will be shaped by this alternative vision. A few years ago over a cup of coffee at a local coffee shop as a colleague and I were conversing we ended up considering Sue Monk Kidd’s memoir: The Dance of the Dissident Daughter. My colleague was distressed that a woman of Christian influence had embraced her feminism so thoroughly. In her words, Kidd’s feminism, “was a shame.” But I don’t see Sue Monk Kidd’s life that way. I am glad for her journey, for the example she is of someone who is willing to embrace the divine feminine within. She responded faithfully to the divine presence calling her to challenge the patriarchal expressions of Christianity and to seek an alternative path for divine nourishment. Sue Monk Kidd stood up to the fear of what might happen if we take our feminism seriously. And, for her it meant a radical reshaping of Christian faith. We who live in this boundary of feminism and Christianity must do this too. Our paths will not all look alike and we will certainly express our feminism and our faith in different ways. But, each of us must look the fear of the majority in the face and then take a leap of faith, trusting God will be present wherever our path might take us. Kendra Weddle Irons teaches religion at Texas Wesleyan University in Fort Worth. Her first book, "Preaching on the Plains: Methodist Women Preachers in Kansas, 1920-1956," was published in 2007 by University Press of America. Melanie Springer Mock is a professor of English at George Fox University in Newberg, Oregon. In 2003, Cascadia Publishing House published her book, "Writing Peace: The Unheard Voices of Great War Mennonite Objectors." 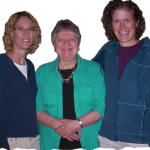 And in 2011, Barclay Press published "Just Moms: Conveying Justice in an Unjust World," a collection that Melanie co-edited with Rebekah D. Schneiter. Kendra and Melanie co-wrote "If Eve Only Knew: Freeing Yourself from Biblical Womanhood and Becoming All God Means for You to Be," published in 2015 by Chalice Press. Letha Dawson Scanzoni has authored or coauthored nine books, including "All We’re Meant to Be" (in 1974, with Nancy Hardesty), which many scholars consider to have played a major part in the launching and spread of biblical feminism. She served as the content editor for Christian Feminism Today from 1994 to 2014. This is another awesome post on a vital, timely topic! Thank you, Letha, Melanie, and Kendra, for claiming your brain power and using it prophetically for justice and equality in our world. Reading this blog, I remembered how we girls and women were trained to restrain and censor ourselves in the Plymouth Brethren chapel of my youth. I sat in a Bible study and had to listen to two men who were having semantic difficulties argue fo 45 minutes. I was getting my M.A. in literature at the time, and could have explained the difficulty in two minutes; but no, I had to keep my mouth shut and let everyone suffer because I as a female could not instruct men. I still struggle with self-censorship and think it is a major problem among women. 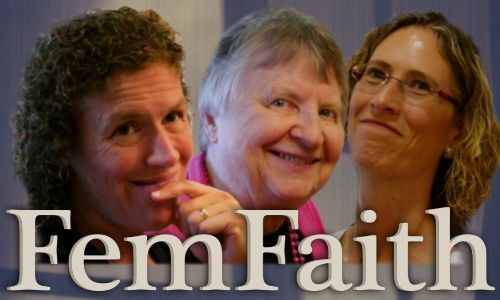 FemFaith is an intergenerational conversation among three Christian feminists: Kendra Weddle, Melanie Springer Mock, and Letha Dawson Scanzoni. The name comes from our desire to be “feminists, faithfully” and to show how our Christian faith and our feminism connect, draw upon, and foster growth in both areas. "There was a time in the not too distant past when the majority of Protestant Christians, including those who called themselves evangelical, did not consider the point at which a fertilized ovum or developing embryo or fetus becomes a human being to be clearly defined, indisputable, and settled for all time." “Having it all” or “Being it all”?